…for a walk around the neighborhood. We’re always up for a Cinderella story around this house. And if it has a regional flavor… even better! 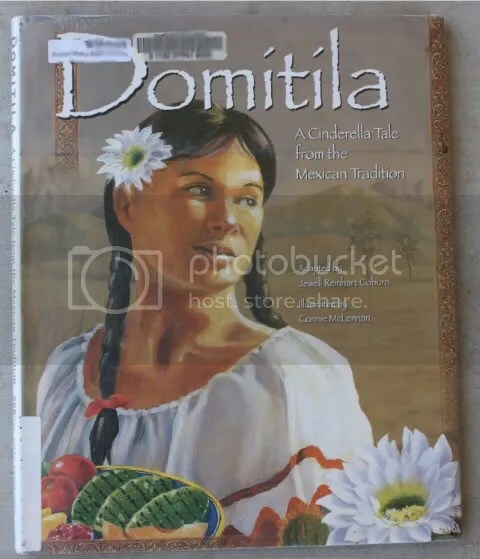 We found Domitila: A Cinderella Tale from the Mexican Tradition at our library a while ago and some of the variances on the fairy tale pleased this mama to no end. The tale adapted by Jewel Reinhart Coburn, although featuring a beautiful heroine, emphasizes a legacy of humility, service, and kindness. The vivid oil paintings by Connie McLeman tell the story with pictures of colorful desert living and patterned borders. Although they were slightly lost on the three year old, I was delighted by the proverbs about life and love featured on each page in both English and Spanish. The sayings are profoundly beautiful, even if something is a bit lost in the translation. This summer we also checked out what seems to be a local favorite. 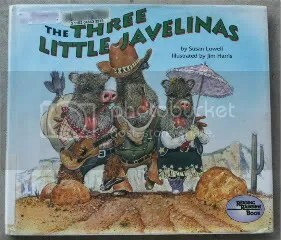 Susan Lowell’s The Three Little Javelinas is a well-written rendition of the traditional tale. The pigs are replaced by our dear bristly javelinas, while scheming coyote takes the place of the wolf. Even the building materials assume a Sonoran desert flavor in tumbleweeds, saguaro ribs, and adobe. The little girls really enjoyed this book. They both spent a lot of time examining Jim Harris’ detailed illustrations with expressive critters and elaborate desert scapes. Do you have any recommendations for unusual takes on “traditional” tales? What is your favorite Cinderella story? Take your pick! Leave me a topic- related comment before midnight Tuesday, October 5th. One randomly selected commentor will recieve the copy of their choice. Want a bonus entry? Try your hand at translating a favorite proverb or two from Domitila. El amor es como el ojo de la aguja, sin el no hay ni costura ni remiendo. El amor esta’ presente en el trabajo diario. * Update: Congratulations to Claudia! One of her two entry numbers was selected by the true random number generator I used @ random.org. Love is like a needle’s eye, without it, there is no sewing or mending. It is in one’s daily work that love can be discovered. The other night, we were preparing for our summer schedule post-sunset stroll around the cul-de-sac. I had my hands full diapering the little one, and the big girl was desperate to help. “Why don’t you get her a pair of shoes?” I suggested. She delights in playing stylist to a still tolerant baby sis. …for less than two dollars. What a whole lot of shiny for under two bucks! But for some reason, Mommy has been resisting putting them on the babe. They just seemed too sparkly, too tacky, too “very special occasion”-ish. 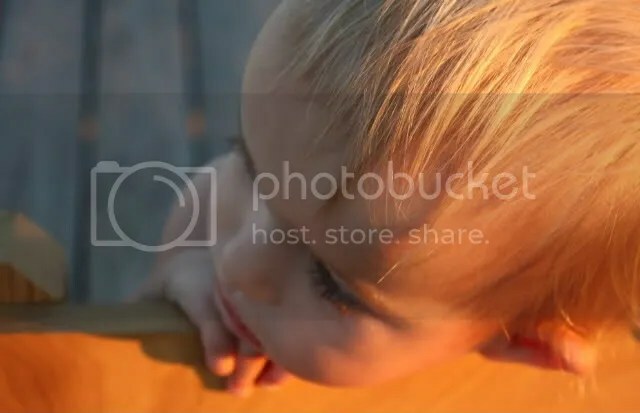 But really, what special occasion does my not yet two-year old have going on? She isn’t going to prom, a grand opening, or even a wedding anytime soon. And they fit perfectly. 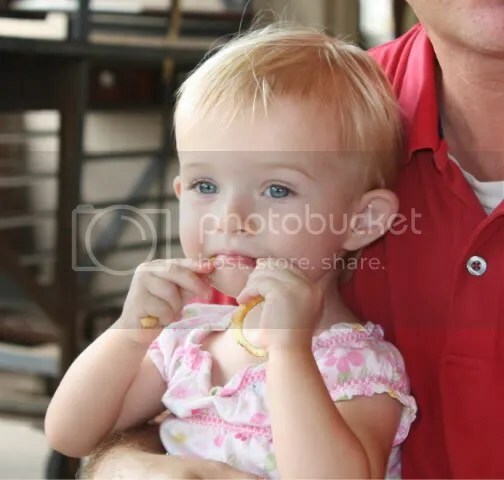 The little one grinned and announced “good!” as she hopped down. They actually seemed super-comfy; just little ballet flats with bling. She pranced the whole loop. (Even more than usual). And they lit up the night. 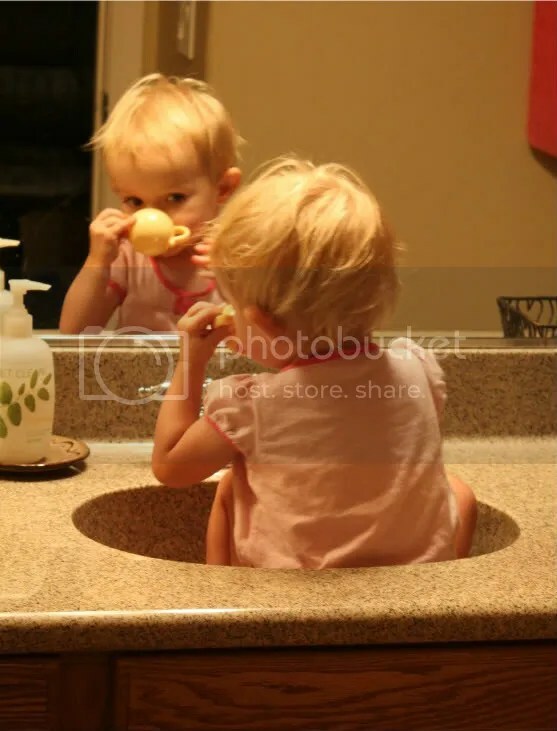 Oh, the things one can learn from an almost four-year old and an almost two-year old. How many things do I have that never get used, worn, said, or experienced because I am waiting for just the right occasion. Seriously, what am I waiting for? 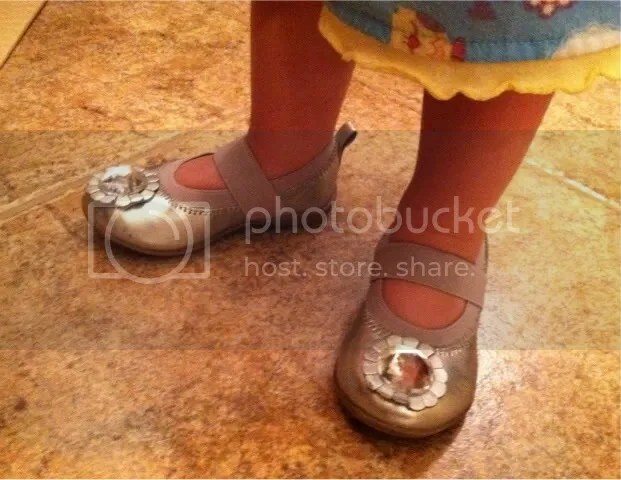 …and utterly, completely deserving of boogie shoes and two dollar bling. 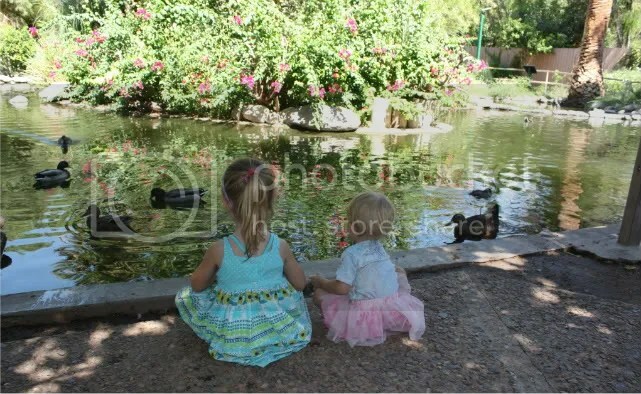 We shared a lovely day with friends at our local zoo last week. The little ladies saw all sorts of exotic animals. They fed giraffes. They petted a snake. What’s your favorite zoo animal? I’m partial to the otters. 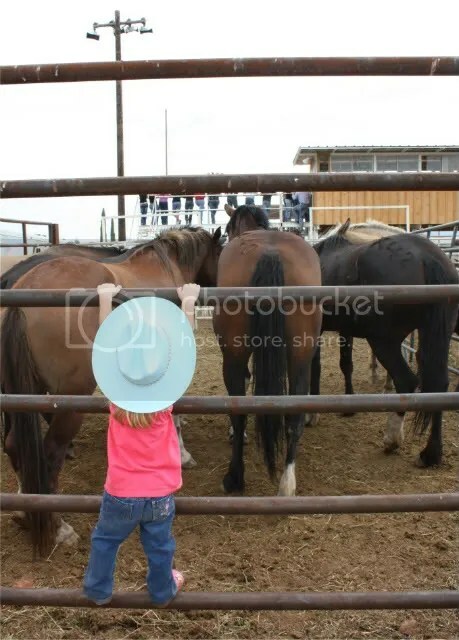 A few weeks ago, our little family enjoyed the Sonoita rodeo. There were the obligatory curly fries. 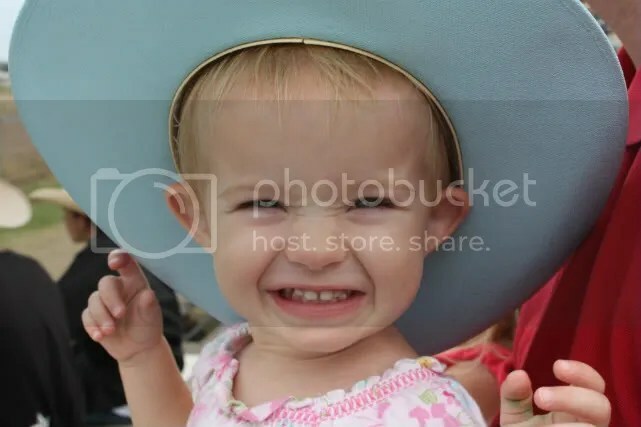 Goofy girls in too-big hats. 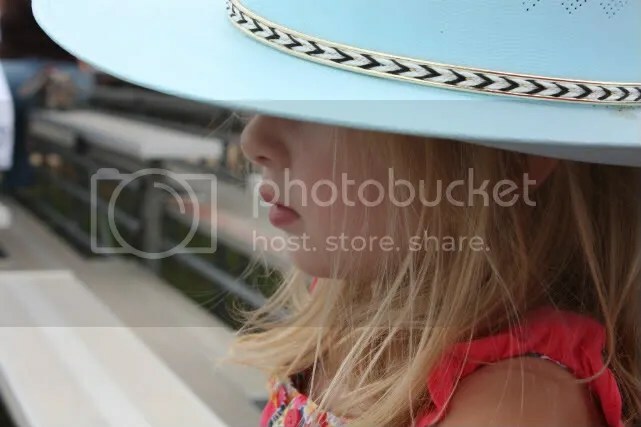 Growing up girls in just-right hats. Be still my wannabe cowgirl heart. And a whole lot of rumps. Blue jean clad and otherwise. I count eighteen. How about you? 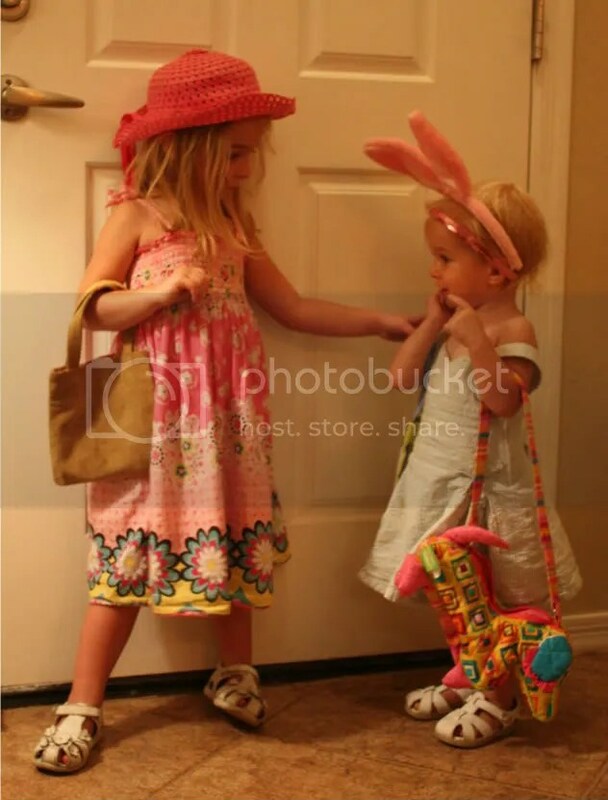 Consider yourself warned: If you insist on toddling around the house in fuzzy bunny ears, your “striving-to-maintain-a-sense-of-humor” mother may not be able to resist stealthily scotch-taping a cotton ball to your adorable oblivious behind.